254 pages | 16 B/W Illus. 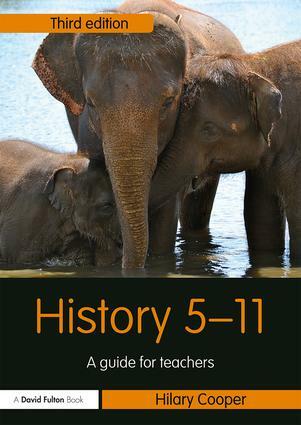 Now in its third edition, History 5-11 aims to make teaching about the past exciting and stimulating for both teachers and children. Focusing on the English National Curriculum for History (2013), and with an emphasis on the importance of learning about the past through the processes of historical enquiry, History 5-11 contains case studies, lesson planning guidance and methods to develop pupils‘ historical understanding. It offers creative and innovative ways to teach the subject of history, refreshing teachers‘ confidence in teaching the 2013 curriculum, and is illustrated by new case studies and research. Reflection on practice and research: undergraduate, Masters level and PhD. This textbook is an invaluable resource to all trainee and practising primary teachers interested in teaching history in an accessible, dynamic and above all, enjoyable way. Hilary Cooper is Emeritus Professor of History and Pedagogy at the University of Cumbria, UK. She has published numerous books on history teaching and is an internationally renowned keynote speaker.